Read. Discuss. Mary Frances Berry Quote Making the Rounds. From our friends at Project 21. Members of the Project 21 black leadership group are condemning the left’s false use of the accusation “racist” as a political tactic, saying they recognize the strategy from the teaching of left-wing organizer Saul Alinsky.Former U.S. Commission on Civil Rights Chairman Mary Frances Berry, a long-time prominent liberal activist, has admitted in an interview with Politico that the left is trying to smear the tea party movement as “racist” for strategic reasons, not out of genuine concern that the movement is itself racist. Ann Coulter Set to Rally Oregon Republicans!! This just in from the head of the GOP in Oregon, Bob Tiernan: Conservative firebrand bombshell, Ann Coulter, is coming to Portland, Oregon on October 1st! More details later. Clear your calendars, Hurricane Ann is ‘a coming. design will be available at the end of the presentation. or beverage will be provided at the presentation. 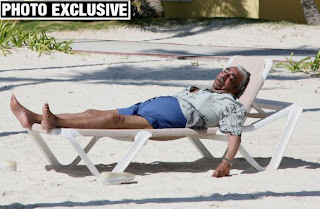 Rep. Gene Green (D-Texas), chairman of the ethics investigative subcommittee that announced the charges, told reporters Friday that his panel concluded Rangel should be reprimanded. “The recommendation that we had was that he be reprimanded,” Green said. Such a punishment might be seen as a slap on the wrist to some. Sounds more like a pat on the back from fellow crooks. For those of you unsure about why it is we folks out here in normal-people-land believe government tax dollar subsidized NPR is a conduit of the left, the question has been answered today (again)–by the far left. Today the MoveOn.Commies have sent out an emergency alert urging their peeps to send a message that the evil Fox News shouldn’t be given Helen Thomas’ old seat in the White House briefing room. As early as Sunday, the White House Correspondents’ Association will decide which news organization will be awarded a recently-vacated front-row center seat in the White House briefing room.The contenders? National Public Radio, Bloomberg News—and Fox.Yes, Fox—which we all know is actually a tool in the right-wing propaganda machine,a legitimate news organization. They simply don’t deserve the best seat in the White House briefing room—a seat held for years by journalist Helen Thomas until she retired recently. So we’re joining our friends at CREDO Action to petition the Correspondents’ Association to award the seat to a real, public news organization: NPR. I love the fact that they downplay why Thomas was ushered out of her prime seat: Because she’s a racist. Pelosi Coming to Oregon to Help Wu and Schrader? Next week. That’s what I’m hearing. Why not, she’s been running four of the five Oregon Congressional Districts since she took the gavel in 2006 and started the Democrat spending spree. She may as well meet her constituents in Wu and Schrader’s districts. I’m sure there may be others meeting her as well. When/If I find out the deets, I’ll pass them along. Why Don’t Wu and Schrader Give Back Dirty Rangel Money? The NRCC has been pushing this story line but it has merit. 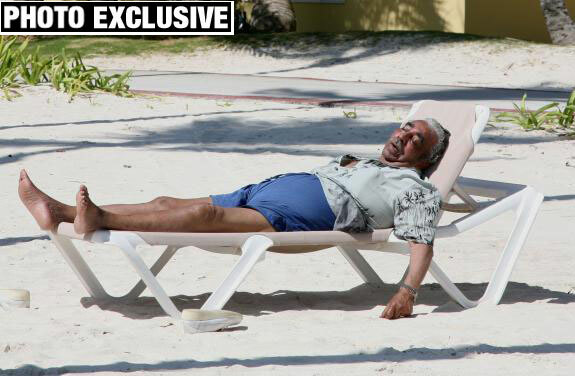 Congressional reps have give back hundreds of thousands of dirty Charlie Rangel money, but Wu and Schrader won’t. Do they need it that badly in this tough economic atmosphere? Millions of dollars, a radio station and—a job?—in her settlement with the obviously racist Clinton White House here.